The Gym Master Cardio Rowing Machine is the ultimate aerobic workout. 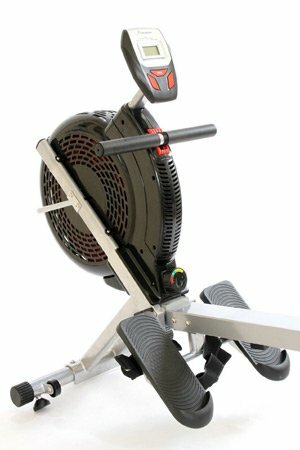 The air resistance rower exercises your muscles and benefits your lungs and heart with cardiovascular conditioning. It is non-jarring and weight supporting so those who need a rehabilitative exercise can do this. The rowing machine features a performance monitor with scan, total count, time, and number of strokes functions. It has an ergonomic handle which makes it easy for your arm and hand to row efficiently. The footrests on it come with sizing straps. It is also doesn’t make much noise because of the fan.